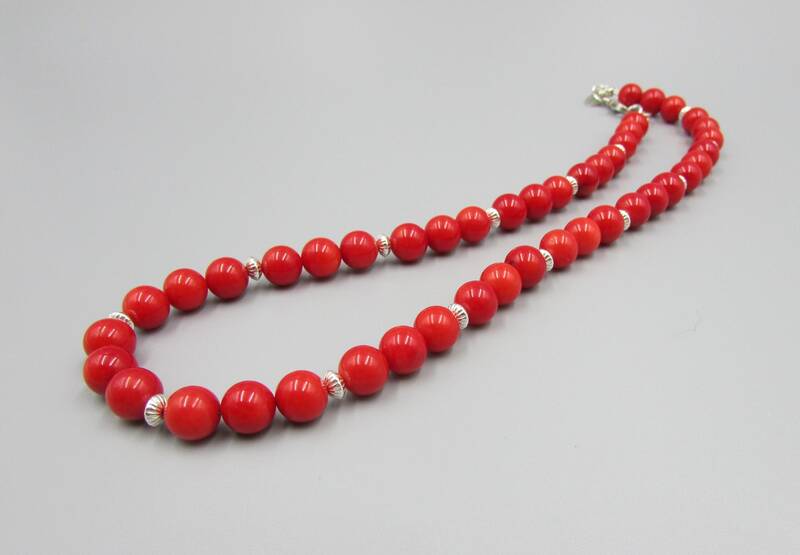 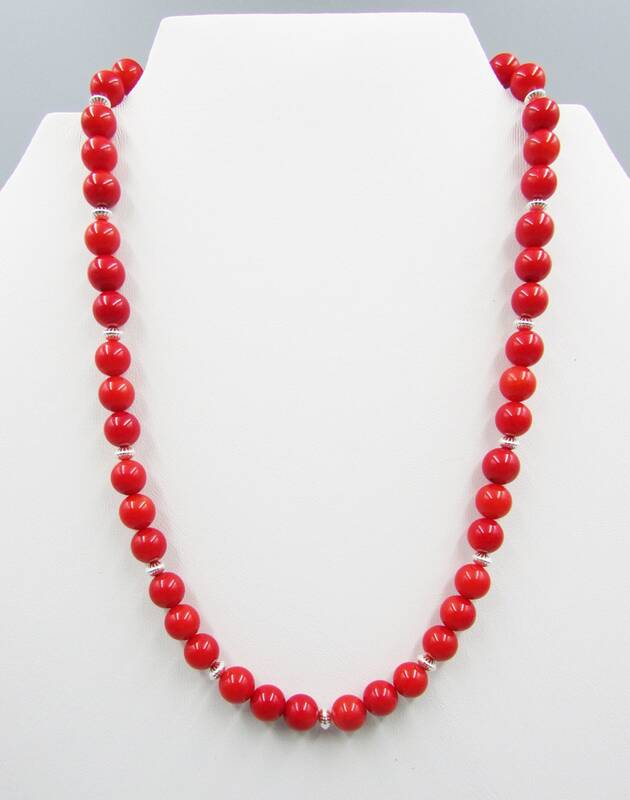 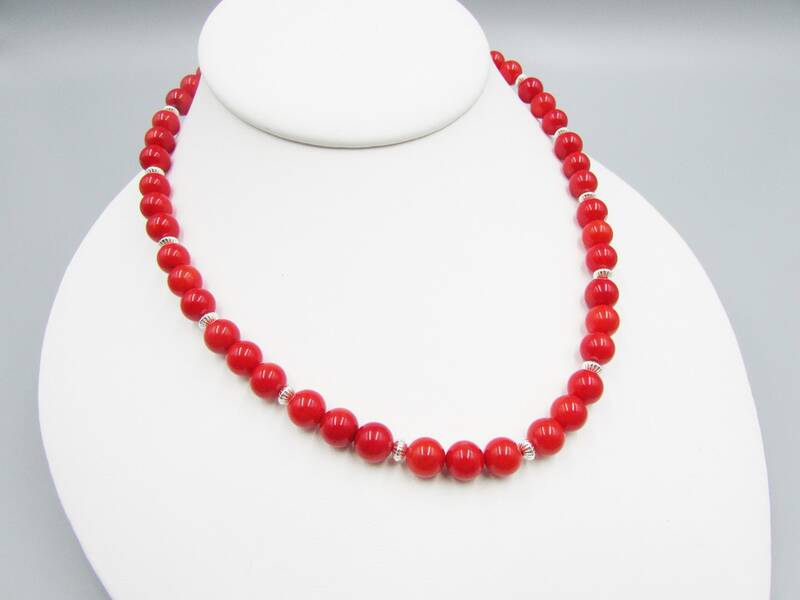 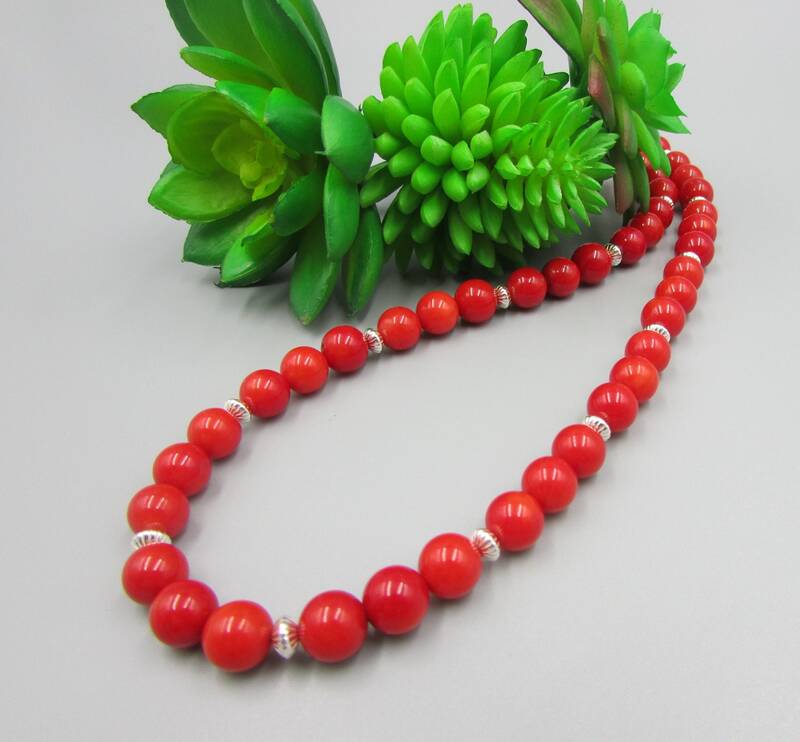 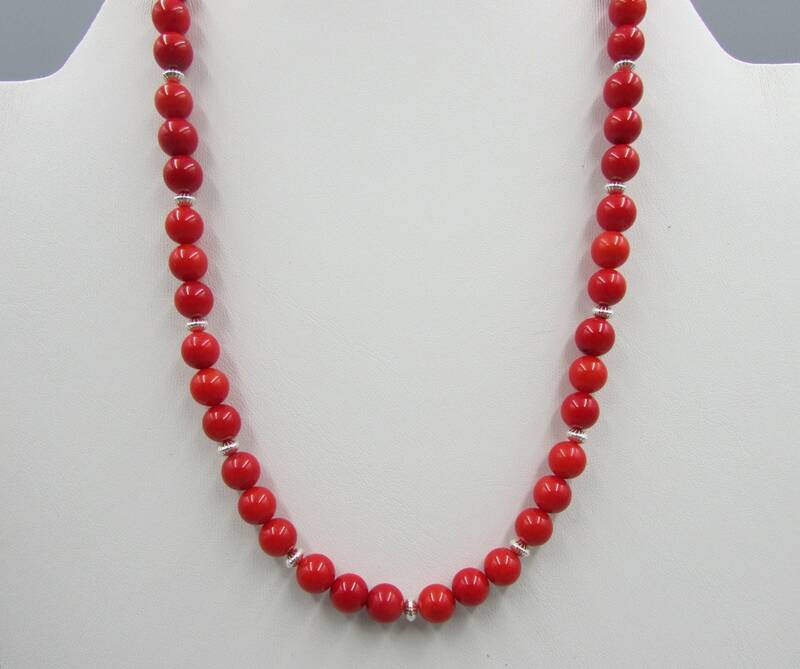 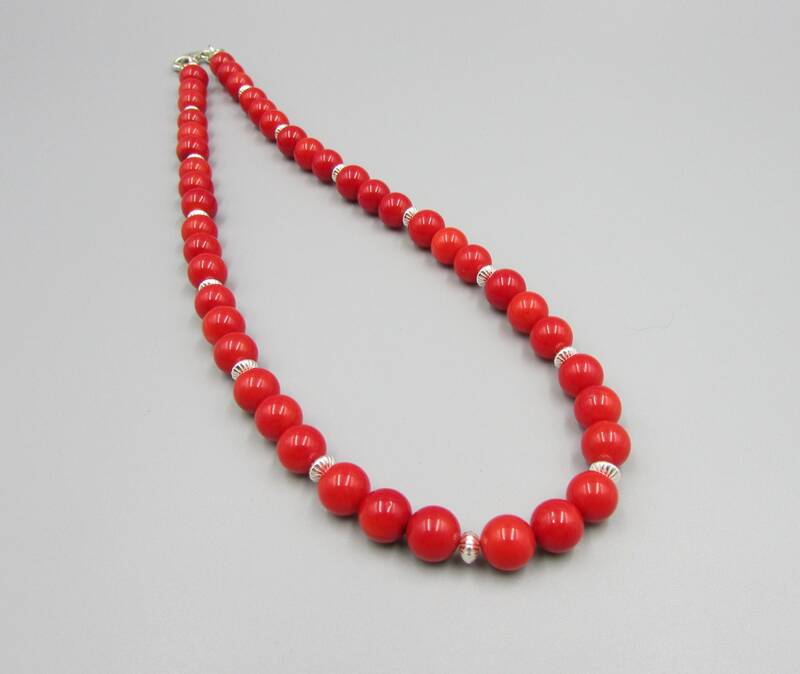 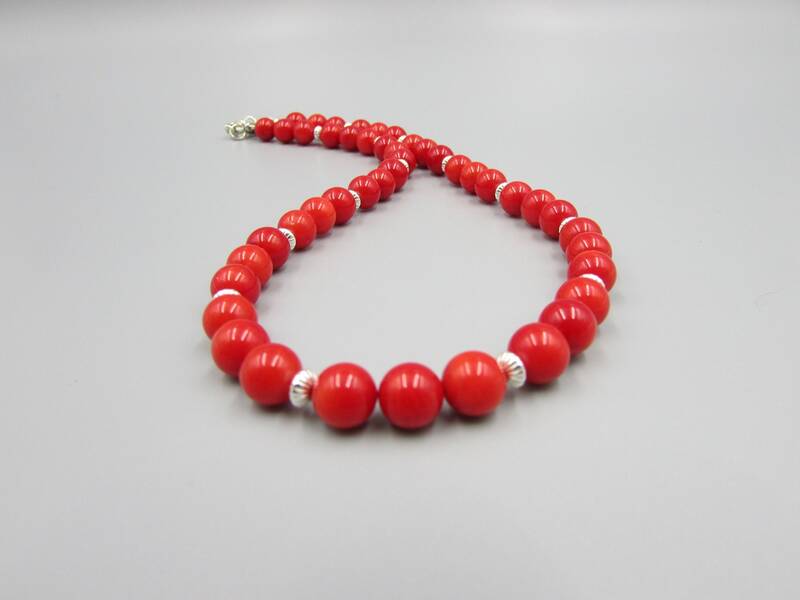 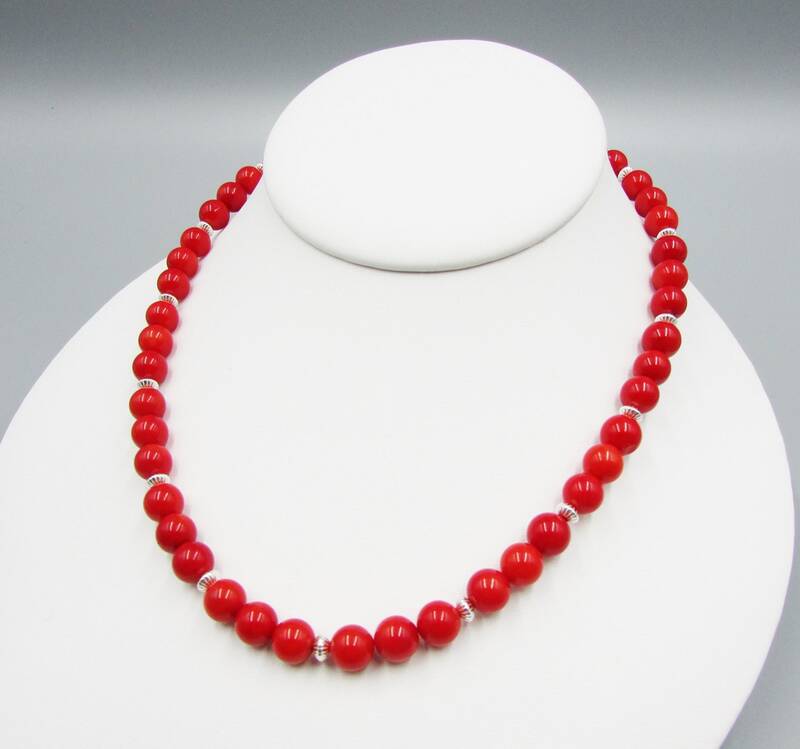 This stunning red coral choker necklace is created with 7mm smooth round coral beads and 4mm corrugated sterling silver saucer bead spacers. 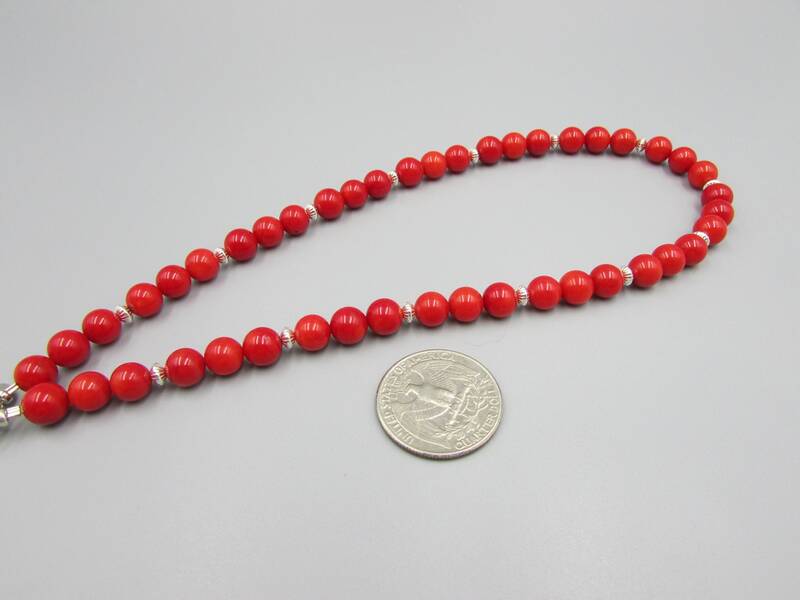 I finished with sterling silver lobster clasp. 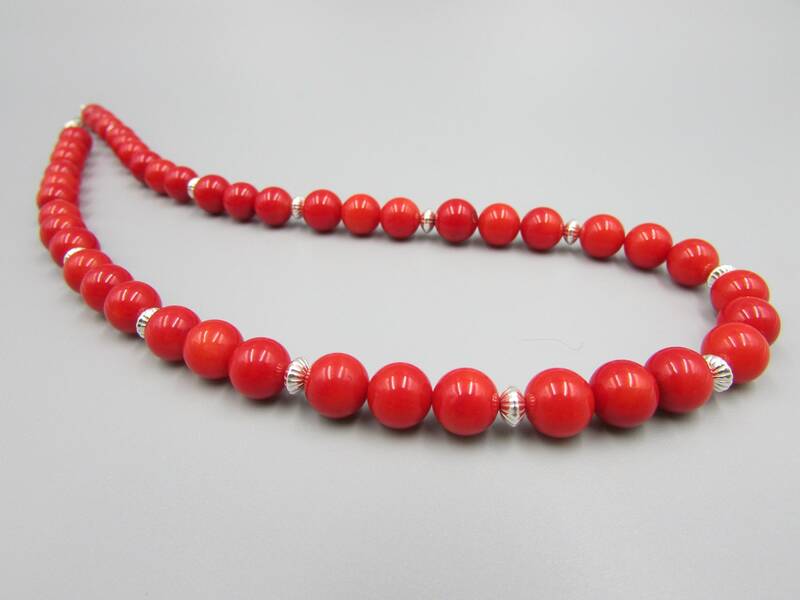 The length is 15 inches long.